Events are a big part of many fundraising programs; a truism of them is how labor intensive they can be. WIth so many moving parts, so many different people to manage; volunteers, donors, guests, staff, vendors, speakers, all who need your time and attention….the list is long. In an effort to make sure guests have a good time, often many extra elements are included that could enhance the party such a photo booths, contests and other add ons. Because there is always so much to do, it can be way too easy to lose perspective. Juggling all the spinning plates doesn’t often provide the opportunity to step back and evaluate what’s going on and how well it’s doing. However, taking that moment for some perspective can make all the difference in your planning. A client has a new nonprofit with a wonderful mission to care for pets who are seriously ill. The organization was planning a big spring event to introduce themselves to the community and to raise funds. She sent me her notes about who was doing what to plan and produce this event. As I read through them, I could see that tremendous effort had been spent on arranging the location, rentals, securing high ticket auction donations and a wine sponsor. There were plans for a live auction, a silent auction, entertainment, a costume contest, photo booth, party favors, video program, all sorts of things were going to go on. The innumerable details for the event were drowning her as she had little help for a pretty ambitious plan. When I called to see how we could sort this out, she went on about how much work the event was going to be, all that was done and all the needed to be done. ( Which we all know to be too true). There was a deep silence at the other end. ‘You know, I never thought about that’, she said. 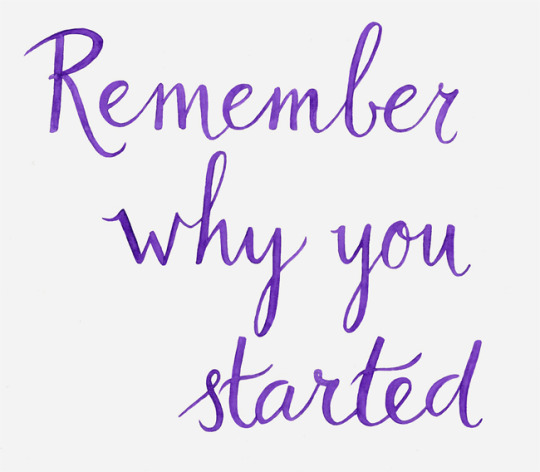 What is important is that you have to remember why you are doing things. There is always the larger goal that is driving your actions than having an event or conference. The goal of her event was to advance her nonprofit in memory of her beloved dog and enable her to offer help others when their pet is in trouble; not to provide a good time on a Saturday night that coincidentally happens to contribute to the organization. When we reviewed all the planning through the filter of what she really wanted achieve, beyond dollars, suddenly the planning became much clearer and easier. Sure, a costume competition would be fun, however it did not serve her overall goal, would probably not be missed by many, and took unnecessary work off her list. With the why and what we wanted to happen as a result of this event being the barometer, the party was reconfigured, getting rid of the extraneous elements and refocused on the on the mission and message. Overall, remember what is important, what compels you to work so very hard. Ask yourself what you want your guests to see and feel about your organization. Ask yourself how you want them to recall your mission, the work you do and the goals you have. Everything that you choose to do has to considered as part of your image, your strategic plan, your reputation and your ultimate reason for doing it. Take a moment, think about what you really want your guests to leave with: a nice little goodie bag or interest, engagement and plans to come back next year? Plan your events and outreach with clear goals in mind, remember why you are doing this. Need a few minutes to help sort out what serves you and what may not be necessary?